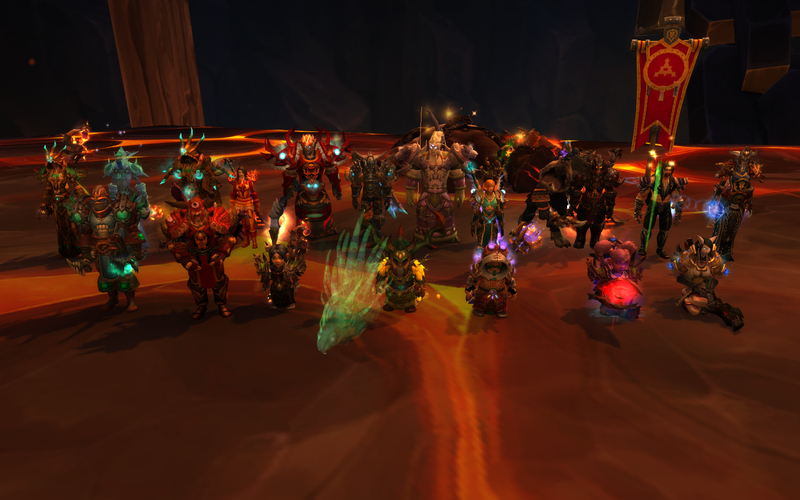 Blackhand’s (also referred to as: Bluenose, Redface, Greyhound) cruel reign over the Blackrock Foundry is no more. We celebrated Children’s Day in style – after many near-death experiences on the day before, all it took was a grand total of two pulls to get the job done. By no means a smooth kill, hardly anyone left alive by the end, but that only made it more thrilling and memorable. Screenshot to prove it did indeed happen! There are certain issues with the wipe counter for this encounter as we have been reseting a whole lot, but it seems that pull no. 247 was the lucky one. The screenshot above clearly proves that what was missing before was the gnome power! It is now a matter of hours until we get a few kill videos uploaded – if you want to check them out, look them up on our wowprogress profile (link on the right hand side). On a more serious note – good fight, not extremely long which was a nice variation from the usual end-boss marathon. With the tactic we used, however, the raid composition requirements were quite extreme. Because of that a whole lot of good people was on standby often during the progression. These guys very much deserve the credit, just as much as those who got the first kill. 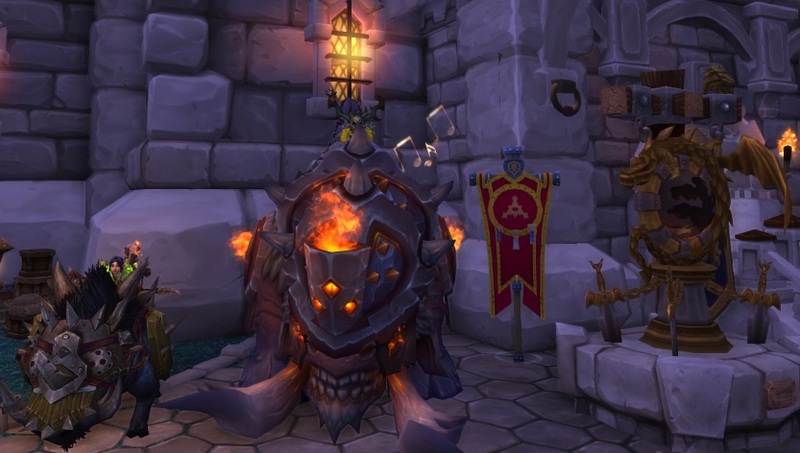 All the good stuff shown above – from left to right: Blacksteel Battleboar (ugly boar for completing mythic tier 17), our first Faultline (Blackhand’s mythic-only mount), The Enigma Order banner, the raiders’ garrison monument and an alliance banner behind it. With all that hard work done, with summer around the corner and with the next tier undergoing testing on the PTR already, now is the time to relax and enjoy some laid back raiding. Surely we will want to kill Blackhand weekly for quite a while longer to get us some mounts, but luckily we now have access to him directly, without the need to clear the entire instance first. Second tier in a row we managed to clear in a timely manner with our reasonable schedule; tension rises. Over and out, but back in a bit!